Very Good. 1785780298 ALL BOOKS SHIPPED WITHIN 1 DAY OF PURCHASE! Very Good. 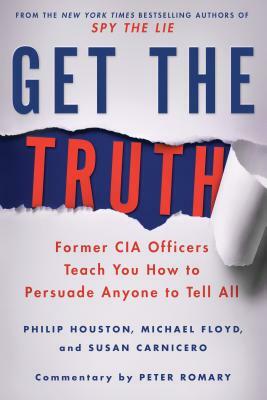 Get the Truth: Former CIA Officers Teach You How to Persuade Anyone to Tell All by Houston, Philip, 2016-04-21. B-format paperback. 304 p.
Very Good. Get the Truth: Former CIA Officers Teach You How to Persuade Anyone to Tell All by Carnicero, Susan, 2015-03-26. 304 p.